It's Christmas Eve 1931. 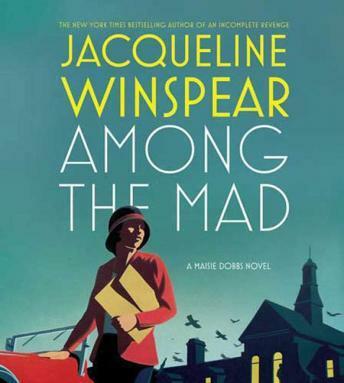 On the way to see a client, Maisie Dobbs witnesses a man commit suicide on a busy London street. The following day, the prime minister's office receives a letter threatening a massive loss of life if certain demands are not met-and the writer mentions Maisie by name. After being questioned and cleared by Detective Chief Superintendent Robert MacFarlane of Scotland Yard's elite Special Branch, she is drawn into MacFarlane's personal fiefdom as a special adviser on the case. Meanwhile, Billy Beale, Maisie's trusted assistant, is once again facing tragedy as his wife, who has never recovered from the death of their young daughter, slips further into melancholia's abyss. Soon Maisie becomes involved in a race against time to find a man who proves he has the knowledge and will to inflict death and destruction on thousands of innocent people. And before this harrowing case is over, Maisie must navigate a darkness not encountered since she was a nurse in wards filled with shell-shocked men. I have read all of the previous Dobbs books. I think the writing is magnificent and I really enjoy the historical references. I look forward to the next one.